100% Linen, Made from best quality linen fabric. This high waisted linen pants is a staple for sunny getaways. 100% Linen, Made from best quality linen fabric. 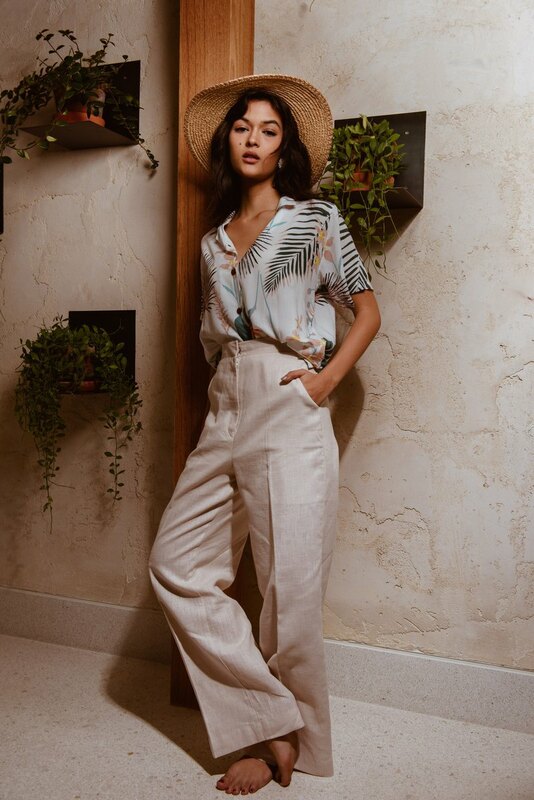 This high waisted linen pants is a staple for sunny getaways. . Price : 1,690 THB Colour : Flamingo Pink, Blue Mint, Egg Shell, Navy ,White, Lemon, Amber, Coffee, Sage, Seaweed Size : S Long = 40" Waist = 24"- 25" Hip = 34"- 35" M Long = 41" Waist = 26"- 27" Hip = 36"- 37" L Long = 41" Waist = 28"- 29" Hip = 38"- 39" XL Long = 41" Waist = 30"- 31" Hip = 40"-41" . ➖➖➖ Shipping details : We send the package out from Thailand by "Thailand post" > Air mail service Shipping time : - We'll send the package everyday except weekend. Asia > 7-14 business days after the payment is made Others > 10-14 business days after the payment is made **We have no return policy, but you're welcome to exchange for different size with the same design. ***If you would like to EXCHANGE the item, you may do so within one week after you received the item. You will responsible to pay for the shipping cost for sending the item back to us and shipping back to you.